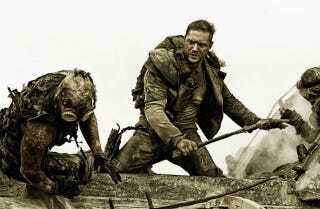 The unbelievably good-looking Mad Max: Fury Road is set to premiere on May 15th, 2015. The last Mad Max movie before that was Beyond Thunderdome, released in 1985. That's a long time! The good news is if Fury Road does well, director George Miller says the sequel is already written. Miller's original plan was to shoot Fury Road and a second Max movie, subtitled Furiosa, back-to-back; instead Miller concentrated on one movie, but wrote the script for the second — as well as a novelization for a third, as he told Film School Rejects. So unless Fury road bombs — and watching that Comic-Con trailer, that seems highly unlikely — we might have a lot of Mad-ness in our future.